If you are a budding entrepreneur you know how you to use your wits do get things done. Being able to manage all the happenings all at once is not a simple task. But why to worry when some Entrepreneur-friendly Apps are all you need to keep things going and do stuff for you while you sit in that meeting sipping from your cup of coffee. So, take a deep breath, make yourself at peace and read on. You might find something useful while sifting through the list. You are an entrepreneur and we agree you know a thing or two about tackling Finances but its always good to keep people under yourself who can manage things for you. Mint is just that kind of Financial Manager. 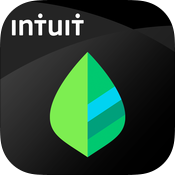 It keeps a full time record of your budget, expenses and saving plans all handy in your phone. Hootsuite is an Mobile App for the social marketer. For those who know how crucial it is to make a web presence. Why waste your precious time switching through all the platforms when you can manage multiple social media handles be it Twitter, Facebook, LinkedIn, Instagram, WordPress or other such 50 platforms from a single mobile application. Also using Hootsuite, you can set a scheduled time for releasing a post on a particular platform in advance. Happy and Peppy Social Networking! Entrepreneurs are always on a hunt for new ideas. So, Pocket is here to bookmark everything you want to -ranging from websites to articles to documents to videos. And then you can access all this learning material offline from any of your electronic devices. 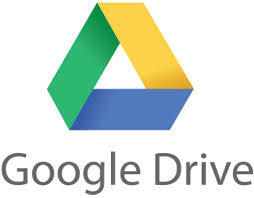 Google Drive is a great file sharing/hosting app which allows you to save all your important files in one place. As the platform saves all your files in a cloud storage you don’t have to worry about carrying an external storage every time. Using this software you can even share heavy files which otherwise cant get through an email attachment. This app is made for those entrepreneurs who are active readers. An amazing thing which lists down a custom feed based on your interests. Did that just sound normal to to you? Let us add to it. This app crawls through every single social network you are enrolled to and analyses your interests and likes (you may call it a little creepy in that sense though) to provide you the selected text to read. Handpicked just for you! 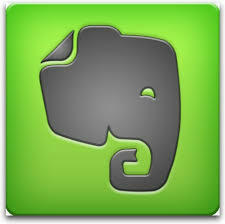 Evernote,as you might have guessed from the name itself, is made for keeping notes. But its not limited to just creating a list. You can attach a time limit along with an alarm to your notes. Also you can group similar notes under various folders.Using this wonderful app you can save documents, files, webpages, images, videos and screenshots all in one place to help you with your work. And not only this, Evernote gives a chance to find your friends and colleagues who are on Evernote and share things with them. See, its so very necessary for any entrepreneur to remember anything and everything. If you are a global entrepreneur and the whole world is your marketplace, then Google Translate is here for you.Learning every single language is just not feasible. 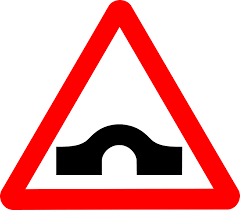 Nessun problema. Pas de problème. No problem. 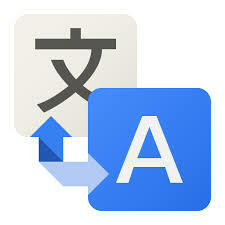 Google Translate is one of the best app to help you translate written and verbal stuff, into the language of your choice. It supports over 100 languages.Go on. Rule the world. TED is the daily dose any entrepreneur ever needs. Listing out the best podcasts from one of the best people is everything you require on your breakfast table. Uber lets you book a cab anywhere in the world, equipped with all kind of support any traveler may require while on the go. Ensure you always have a way out to reach that last minute meeting even when no other cab is available. Keeping a tap on your team is an important task. One of the best ways to get a team functioning smoothly is to make sure everyone knows what everyone else is doing. Google Calendar is a great free service that lets you set up collaborative schedules where all the parties can make entries, as well as private diaries for planning your life in the weeks ahead. This useful app puts a widget on your Android phone’s home screen to let you see what’s coming up, and alerts you via pop-up reminders, emails or text messages. There’s a pretty good Google Tasks list manager built in, too. Chances are, if there is challenge you face on the road, switch to the the App Store and you will find a suitable app development for yourself. Most businessmen hire mobile app development companies for this reason. Apps have made life simple enough! Next Post Is WhatsApp Finally Introducing The Much Awaited Video Call?